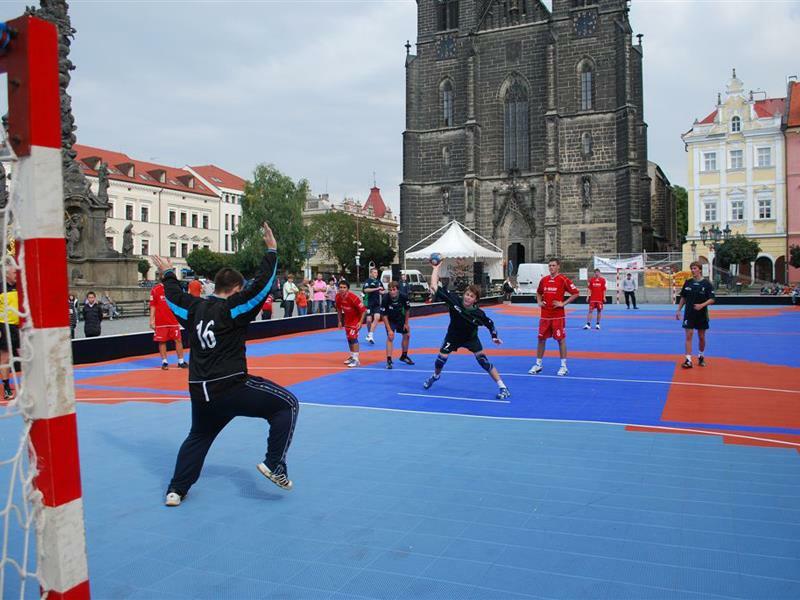 Our indoor and outdoor handball courts are used throughout the world by those who value safety and performance for their athletes. 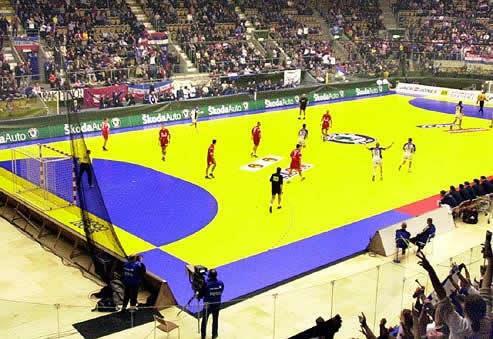 Our handball surfaces provide your athletes with the best combination of shock absorption, ball response, and low abrasion for the best playing surface possible. Easy to install and maintain, our handball courts come with a 15-year warranty, which is the industry’s strongest warranty. Without the proper equipment, Handball can be a dangerous sport. But proper equipment doesn't stop at your personal gear. That's when owning the Safest Court in the World™ comes into play. With our Lateral Forgiveness™ technology, you can focus more on the game and less on worrying about getting injured. Contact your local CourtBuilder to find out more about our professional grade futsal courts. In addition to designing and installing indoor and outdoor handball courts, our CourtBuilders also specialize in backyard basketball courts, multi-sport game courts, volleyball courts, futsal courts, tennis courts, roller hockey courts, netball courts, and putting greens.